BiH is significantly exposed to the threats of climate change, but has very limited capacity to address and adapt to its negative impacts, in particular the frequency and magnitude of floods from its major rivers which have tripled in frequency in the last decade. The negative impacts of climate change particularly affect the vulnerable groups within the basin and key sectors such as agriculture and energy (hydropower). Vrbas River basin is characterized by a large rural population comprised of the poorest and most vulnerable communities in BiH, including war returnees and displaced people, with high exposure to flooding and its devastating impacts. In May 2014, Bosnia and Herzegovina experienced its worst flooding in 150 years which resulted in 23 deaths and 2.7 Billion USD worth of damages which is 15% of GDP, and is expected to result in a 1.1% contraction in the economy this year, compared to the growth of 2.2% that had been predicted before the flood. 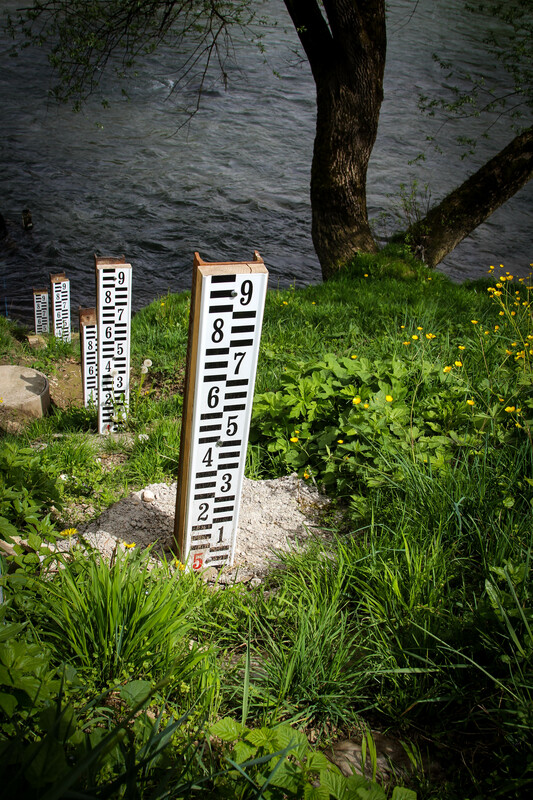 The project, “Technology transfer for climate resilient flood management in Vrbas River Basin”, will enable the government of BiH and communities of the Vrbas basin to adapt to flood risk through the transfer of adaptation technologies for climate resilient flood management and embark on climate resilient economic activities. Introduce financial instruments such as index-based flood insurance and credit deference schemes as a means of compensating for flood damages for agriculture. 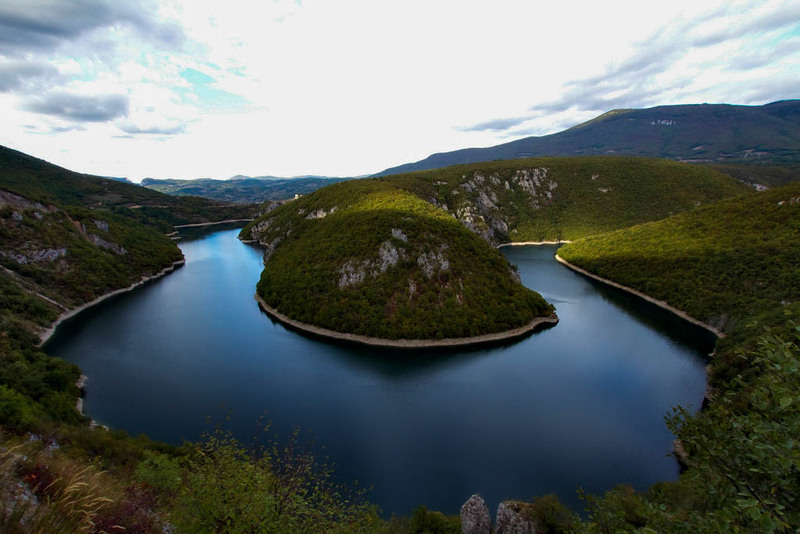 Source: Bosnia and Herzegovina's UNDP Project Document (November 26, 2014) and Establishment of hydro-meteorological network in Vrbas River Basin (November 2015). 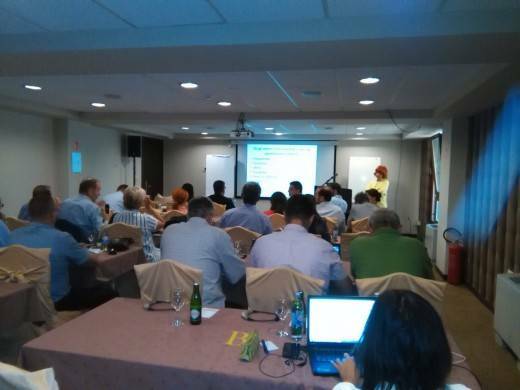 The workshop on reducing the risk of floods and the impact of climate change was held in Banja Luka, April 2015, and it aimed to gather all relevant representatives of local authorities and institutions and international organizations in order to get familiar with all the activities that take place and effectively coordinate them. 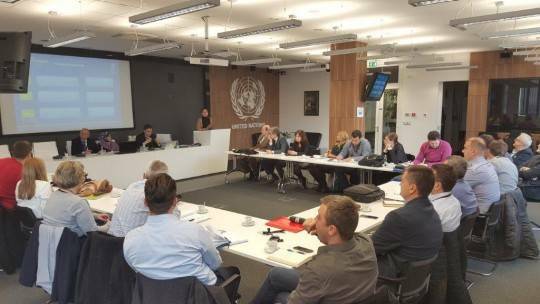 The ongoing projects and planned activities were presented in the field of flood protection and water management in BiH and all participants expressed their willingness to reduce the risk of flooding and other negative impacts of climate change. Bosnia and Herzegovina (BiH) is a middle income country with an estimated 3.8 million inhabitants, which is still recovering from the 1992-1995 war which had a devastating impact on its human, social and economic resources, leading to enormous challenges of the post-war reconstruction and economic and social recovery. This challenge has been further compounded by the transition towards market economy requiring structural reforms and improved governance. The slow rate of the post-war economic recovery of Bosnia and Herzegovina has been compounded by the negative impacts of climate change on key sectors such as agriculture, energy (hydropower), the environment and, in particular, the frequency and magnitude of flood disasters, which have tripled in frequency in the last decade. In May 2014, Bosnia and Herzegovina experienced its worst flooding in 150 years which resulted in 23 deaths and $2.7 Billion USD worth of damages which is 15% of GDP, and is expected to result in a 1.1 percent contraction in the economy this year, compared to the growth of 2.2 percent that had been predicted before the flood. BiH is significantly exposed to the threats of climate change, but has very limited capacity to address and adapt to its negative impacts, in particular the frequency and magnitude of floods from its major rivers. The Vrbas River basin is characterized by a large rural population comprised of the poorest and most vulnerable communities in BiH, including war returnees and displaced people, with high exposure to flooding and its devastating impacts. 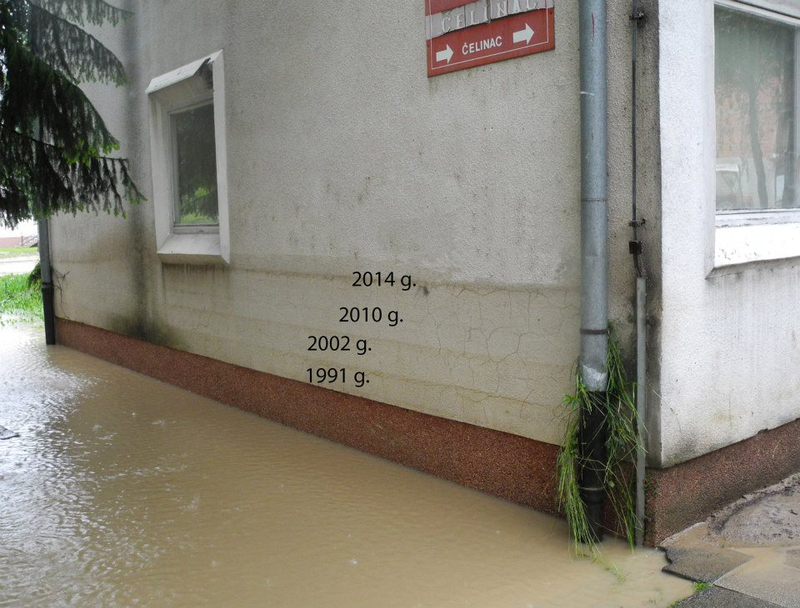 Of the 28 munipalities that make up the Vrbas basin, 13 have experienced flooding in the past decade. 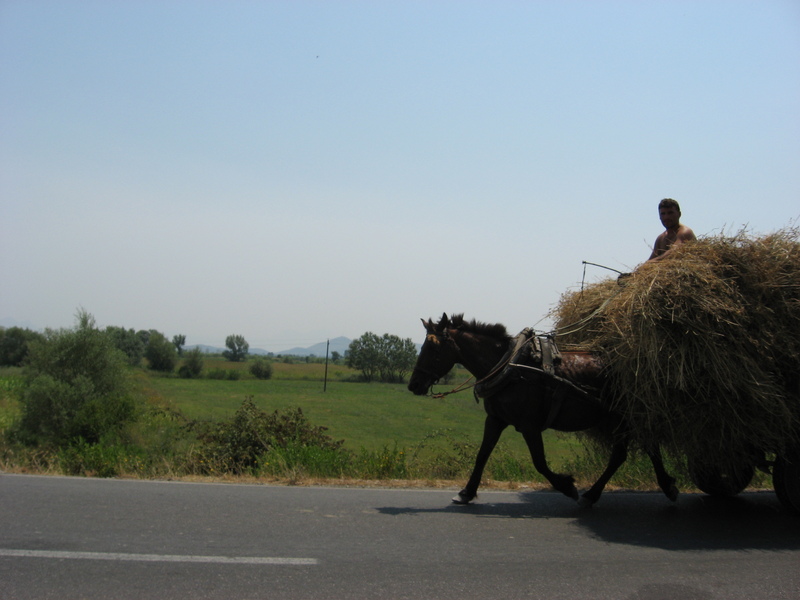 Around a third of the rural population of Vrbas Basin (approximately 100,300 people) manage "smallholdings" where they produce fruit, vegetables and livestock products mainly for their own consumption, and about 16% may be classified as "farmers", in that they manage at least 3 ha and/or 3 livestock units. 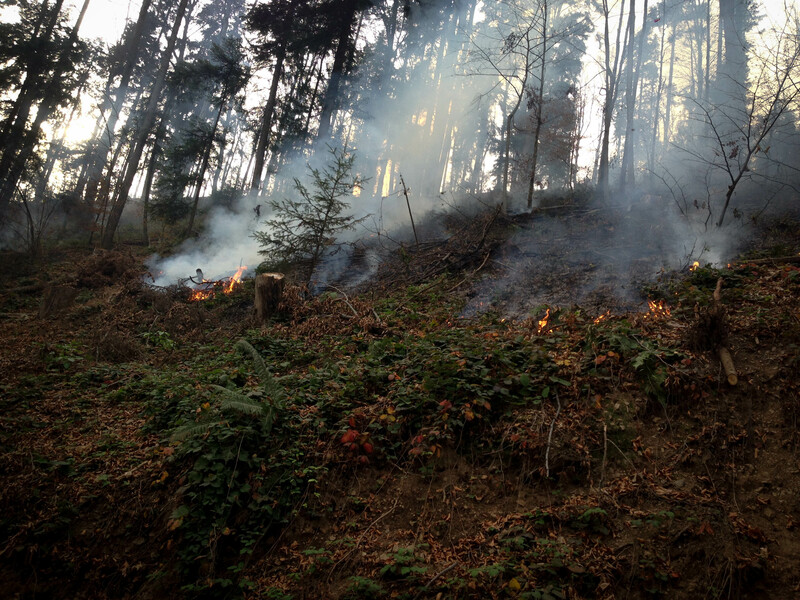 Agriculture is therefore important to the Vrbas River Basin, and the direct impacts of climate change on agriculture such as floods and droughts will inevitably impact the rural communities without any adaptation. Under climate change there is a real risk of reduced crop yields leading to increased food prices, which would in turn have negative implications for food security. 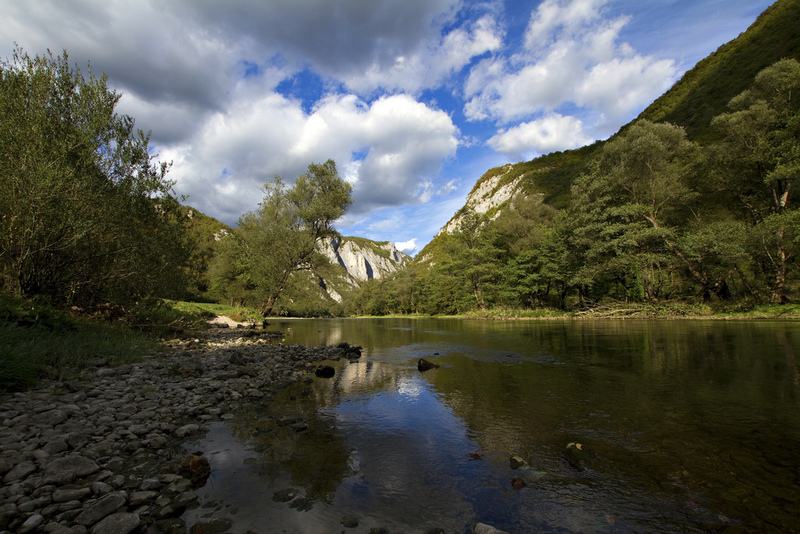 The SCCF funds will be used to enable the communities of the Vrbas basin to adapt to flood risk through the transfer of adaptation technologies for climate resilient flood management, upgrade and rehabilitation of the hydrometric monitoring network, development of a flood forecasting system and early warning system, development of emergency response plans, and provision of training in flood-specific civil protection. Importantly, the project will provide targeted training on climate-induced FRM to over 100 practitioners and decisions makers, and will develop an institutional capacity development plan for the long-term development of capability and capacity in Flood Risk Management (FRM). The project will work closely with affected communities to introduce climate resilient community-based non-structural measures and provide training to local communities in climate resilient FRM. This will include the introduction of agro-forestry, community-based early warning systems, reforestation and introduction of financial instruments such as index-based flood insurance and credit deference schemes as a means of compensating for flood damages for agriculture. The enabling environment will be enhanced by embedding climate change into key sector policies, strategies and plans to enable climate resilient flood risk management within sectors that impact flood risk significantly, including land use and spatial planning, forestry, agriculture and energy sectors. Specifically, the project will introduce floodplain management regulations that will enhance zoning of development and activities away from high risk areas. Source: Bosnia and Herzegovina's UNDP Project Document (November 26, 2014). Update at least two priority sectoral policies and plans (e.g. agriculture, hydropower, water resources) to include climate change modeling results (Output 1.1); Update floodplain management and spatial planning regulations and policies to include climate change risks (revision of land use regulations, stricter policy on construction permits in the areas prone to flooding, etc) (Output 1.2); also to codify and disseminate appropriate adaptation technology solutions for climate resilient flood management in BiH (Output 1.3). Improved hydrological and hydrodynamic model for the VRB incorporating climate change predictions, developed to produce flood hazard inundation maps for spatial planning and emergency response planning, and for the long-term strategic flood risk management of the VRB (Output 2.1); establishe and institutionalize GIS-based vulnerability, loss and damages assessment tool and database to record, analyze, predict and assess hydro-meteorological and other hazard events and associated losses (Output 2.2); upgrade the hydro-meteorological monitoring system in the VRB (increased from 11 to 25 gauging stations) and harmonize into a central hydrometric system (Output 2.3); Develop institutional capacity strengthening plan and provide targeted training on climate-induced flood risk management to at least 100 practitioners and decision-makers (Output 2.4). Outcome 3. New technologies and approaches for enhanced flood risk management applied to increase resilience of vulnerable communities in VRB. 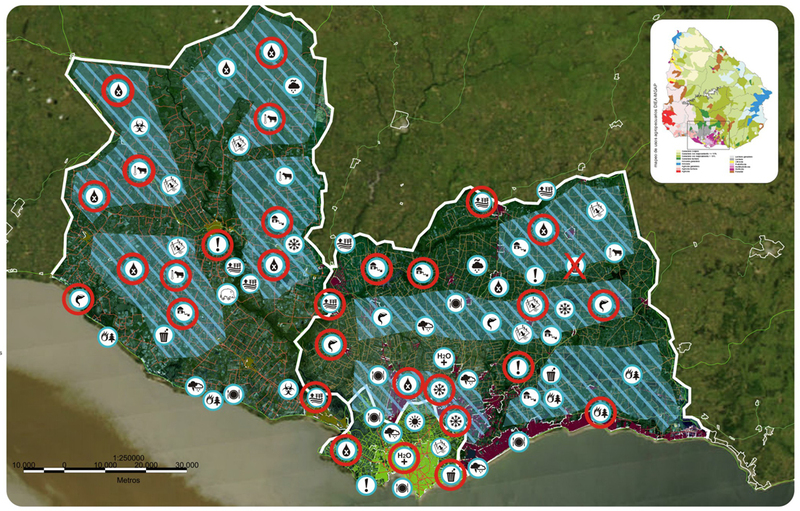 Developed integrated land use and flood risk management plan for the VRB and implement non-structural measures by local communities (through Output 3.2. ), government and/or private sector (Output 3.1); Implement articipatory community-based adaptation strategies, technologies and practices in priority flood risk areas (e.g. community afforestation scheme on the flood plains as well as establish locally controlled and managed flood zones and watershed rehabilitation works, etc. (Output 3.2); Train local communities (particularly women and refugees) to implement and maintain flood resilient non-structural intervention measures, including agricultural practices such as agro-forestry, to improve livelihoods of 13communities in the VRB, and community-based flood early warning systems (Output 3.3); Modify early warning system in VRB to include the new hydrometric monitoring network as part of a fully-integrated flood forecasting system (comprised of centrally-based and community-based early warning systems) while also preparing and implementing municipal-level flood response and preparedness plans (Output 3.4). 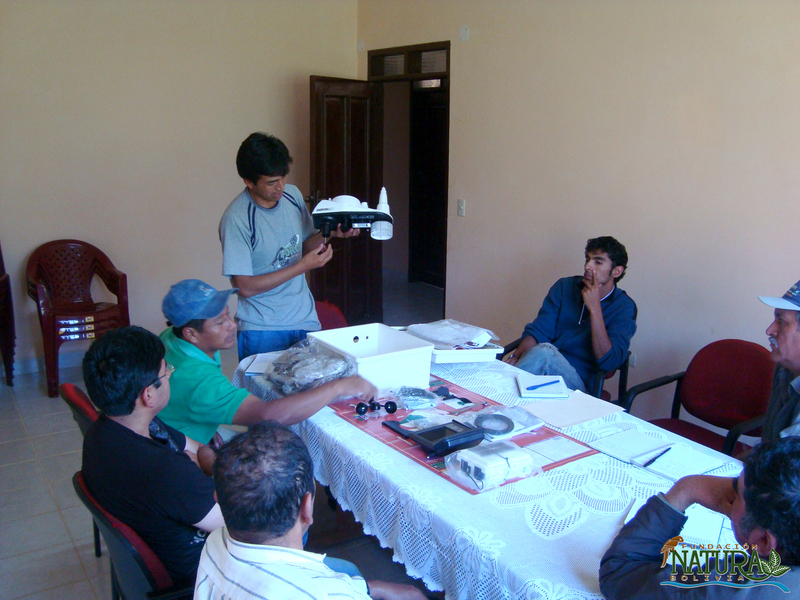 The project will be monitored through the following M& E activities, which include Inception Workshop and Report; Measurement of Means of Verification of project results; Measurement of Means of Verification for Project Progress on output and implementation; ARR/PIR; Periodic status/ progress reports; Mid-term Evaluation; Final Evaluation; Project Terminal Report; Audit; and Visits to field sites. A Project Inception Workshop will be held within the first 2 months of project start with those with assigned roles in the project organization structure, UNDP country office and where appropriate/feasible regional technical policy and programme advisors as well as other stakeholders. The Inception Workshop is crucial to building ownership for the project results and to plan the first year annual work plan. 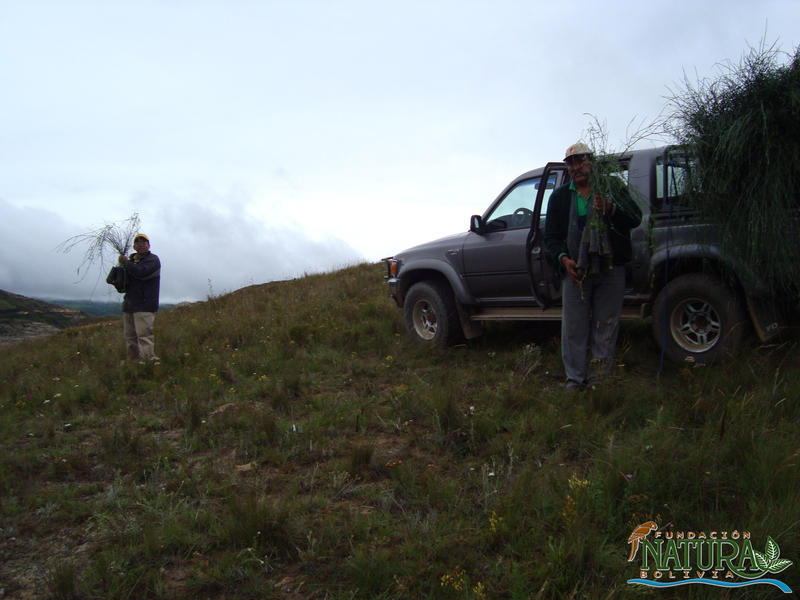 a) Assist all partners to fully understand and take ownership of the project. Detail the roles, support services and complementary responsibilities of UNDP CO and RCU staff vis à vis the project team. Discuss the roles, functions, and responsibilities within the project's decision-making structures, including reporting and communication lines, and conflict resolution mechanisms. The Terms of Reference for project staff will be discussed again as needed. b) Based on the project results framework and the relevant SOF (e.g. GEF) Tracking Tool if appropriate, finalize the first annual work plan. Review and agree on the indicators, targets and their means of verification, and recheck assumptions and risks. c) Provide a detailed overview of reporting, monitoring and evaluation (M&E) requirements. The Monitoring and Evaluation work plan and budget should be agreed and scheduled. d) Discuss financial reporting procedures and obligations, and arrangements for annual audit. e) Plan and schedule Project Board meetings. Roles and responsibilities of all project organisation structures should be clarified and meetings planned. The first Project Board meeting should be held within the first 12 months following the inception workshop. The project will undergo an independent Mid-Term Evaluation at the mid-point of project implementation (insert date). The Mid-Term Evaluation will determine progress being made toward the achievement of outcomes and will identify course correction if needed. It will focus on the effectiveness, efficiency and timeliness of project implementation; will highlight issues requiring decisions and actions; and will present initial lessons learned about project design, implementation and management. Findings of this review will be incorporated as recommendations for enhanced implementation during the final half of the project’s term. The organization, terms of reference and timing of the mid-term evaluation will be decided after consultation between the parties to the project document. The Terms of Reference for this Mid-term evaluation will be prepared by the UNDP CO based on guidance from the Regional Coordinating Unit and UNDP-EEG. 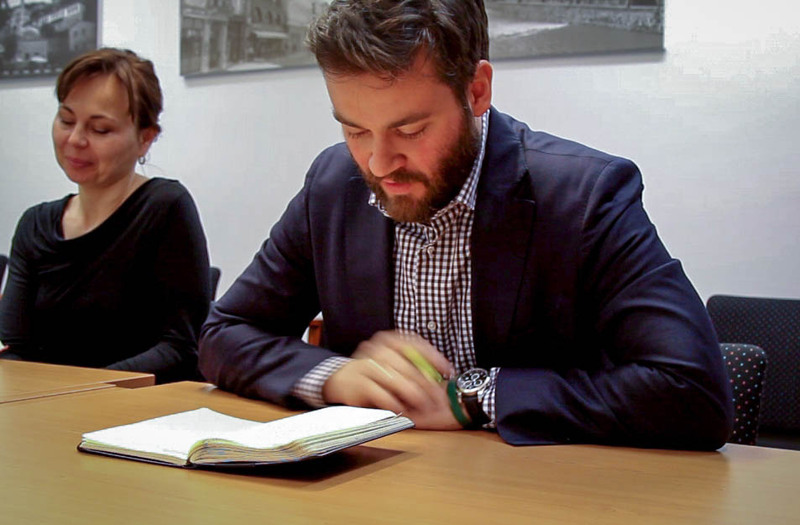 The management response and the evaluation will be uploaded to UNDP corporate systems, in particular the UNDP Evaluation Office Evaluation Resource Center (ERC). The relevant SOF (GEF) Focal Area Tracking Tools will also be completed during the mid-term evaluation cycle. 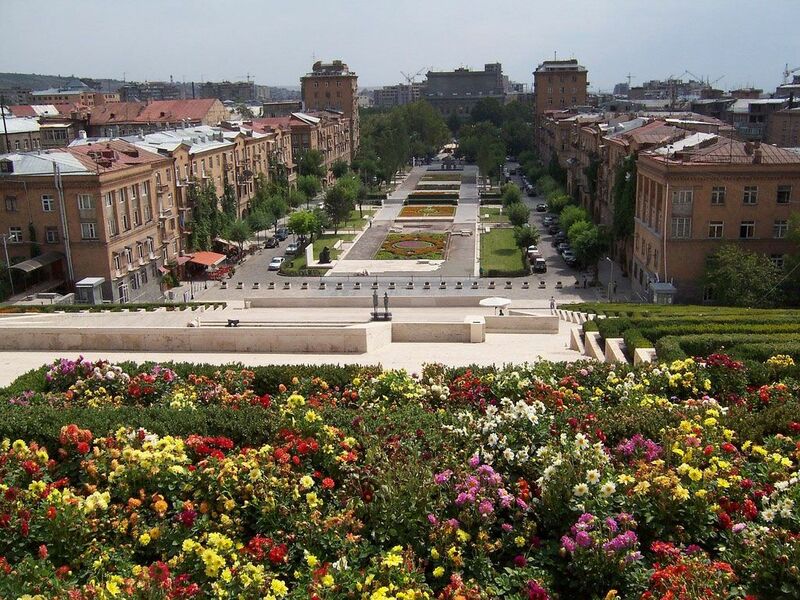 An independent Final Terminal Evaluation will take place three months prior to the final Project Board meeting and will be undertaken in accordance with UNDP and SOF (e.g. GEF) guidance. The final evaluation will focus on the delivery of the project’s results as initially planned (and as corrected after the mid-term evaluation, if any such correction took place). The final evaluation will look at impact and sustainability of results, including the contribution to capacity development and the achievement of global environmental benefits/goals. The Terms of Reference for this evaluation will be prepared by the UNDP CO based on guidance from the Regional Coordinating Unit and UNDP-EEG. The Final Terminal Evaluation should also provide recommendations for follow-up activities and requires a management response which should be uploaded to PIMS and to the UNDP Evaluation Office Evaluation Resource Center (ERC). The relevant SOF (e.g GEF) Focal Area Tracking Tools will also be completed during the final evaluation. The essential objective of this project, Adaptation to climate change in the Nile Delta through Integrated Coastal Zone Management in Egypt, is to integrate the management of SLR risks into the development of Egypt’s Low Elevation Coastal Zone (LECZ) in the Nile Delta. The dominant feature of Egypt's Northern Costal Zone is the low lying delta of the River Nile, with its large cities, industry, agriculture and tourism. Due to the concentration of much of Egypt's infrastructure and development along the low coastal lands and the reliance on the Nile delta for prime agricultural land, coastal inundation or saline intrusion caused by anthropogenic climate change induced sea-level rise will have a direct and critical impact on Egypt's entire economy. In addition to the current trends, Egypt's Mediterranean coast and the Nile Delta have been identified as highly vulnerable to climate change induced Sea Level Rise (SLR). The proposed project aims to integrate the management of SLR risks into the development of Egypt's Low Elevation Coastal Zone (LECZ) in the Nile Delta by strengthening the regulatory framework and institutional capacity to improve resilience of coastal settlements and development infrastructure, implement innovative and environmentally friendly measures that facilitate/promote adaptation in the Nile Delta, and establish a monitoring and assessment framework and knowledge management systems on adaptation. Egyptian rural and urban residents in low-lying areas in the Nile Delta subject to sea level rise (SLR) and salinization of freshwater resources. One of the most certain consequences of global warming is a rise in mean sea level. 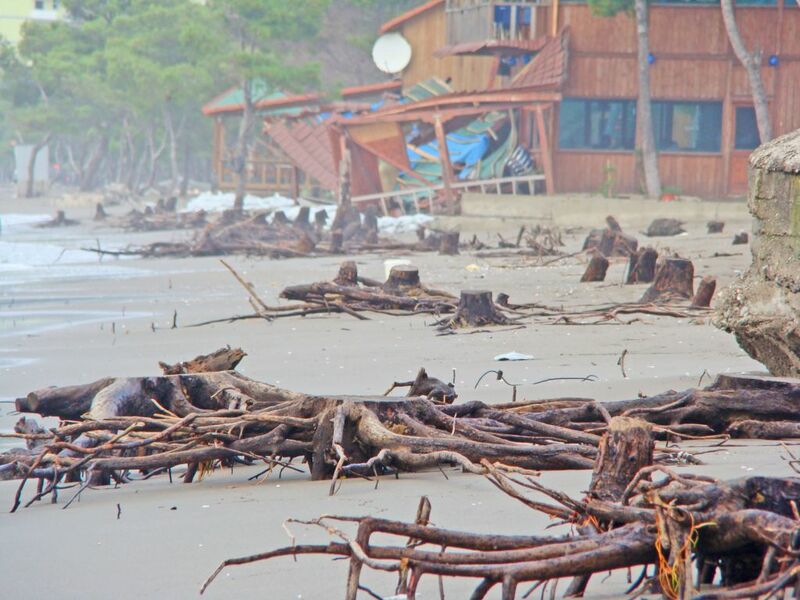 As a result, coastal zones are regarded as one of the most vulnerable areas to climate change. In the coming decade, 3.3% of total land area of the Nile Delta will be lost to rising sea levels, including submersion of approximately 16 km2 of valuable currently cultivated land in the absence of adaptive action. In addition to the sea level rise (SLR) and current subsidence trends, Egypt’s Mediterranean coast and the Nile Delta have been identified as highly vulnerable to abrupt SLR, which is considered to be due to climate change. 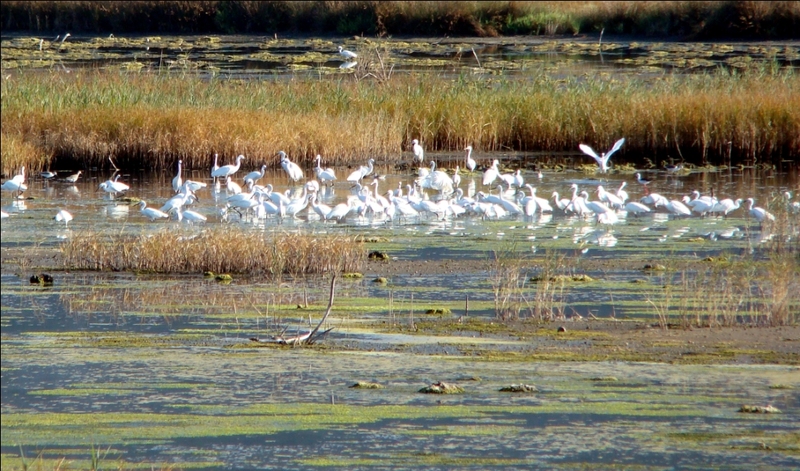 The Nile Delta’s coastal lakes are key ecosystems that act as a protective zone for inland economic activities. Lake Manzala, Burullus, Idku, and Maryut, however, are only separated from the Mediterranean by 0.5- 3km wide eroding and retreating sand belt and dune system. Rising seas would destroy parts of the protective offshore sand belt, which has already been weakened by reduced sediment flows after the construction of the Aswan Dam in 1964. The sediment belt protects the lagoons and low-lying reclaimed land. 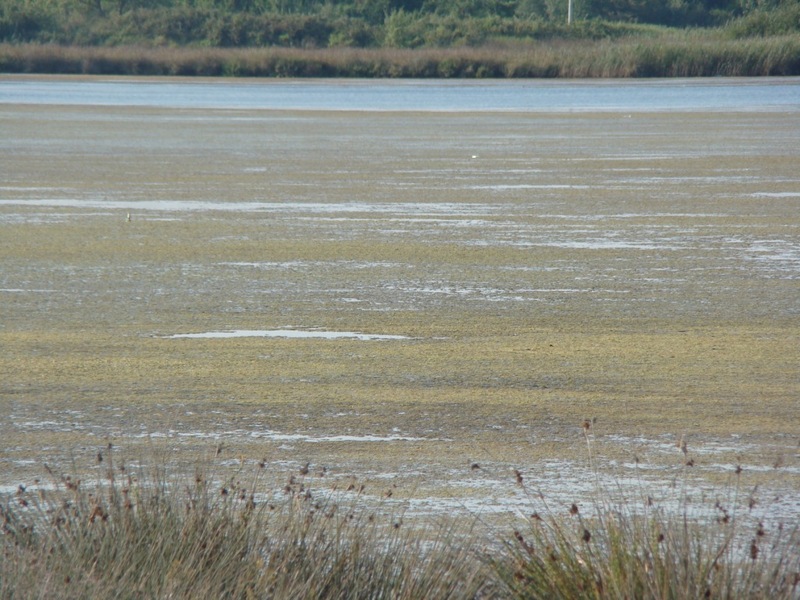 Without this sediment belt, water quality in coastal freshwater lagoons will be altered, groundwater will be salted and recreational tourism and beach facilities will be inundated. The goal of the project is to enhance Egypt’s resilience and reduce vulnerability to Climate Change impacts. The objective of the proposed projects is to integrate the management of sea level rise risks into the development of Egypt’s Low Elevation Coastal Zone (LECZ) in the Nile Delta by taking an “adaptive capacity approach” for both human and natural systems. The project will have three major outcomes. First, the regulatory framework and institutional capacity to improve resilience of coastal settlements and infrastructure will be strengthened. Second, strategies and measures that facilitate adaptation to climate change impacts, with sea level rise (SLR) in particular; will be implemented in vulnerable coastal areas in the Nile Delta. And third, monitoring/assessment frameworks and knowledge management systems will be established to facilitate adaptive management in the face of unfolding climate change impacts. 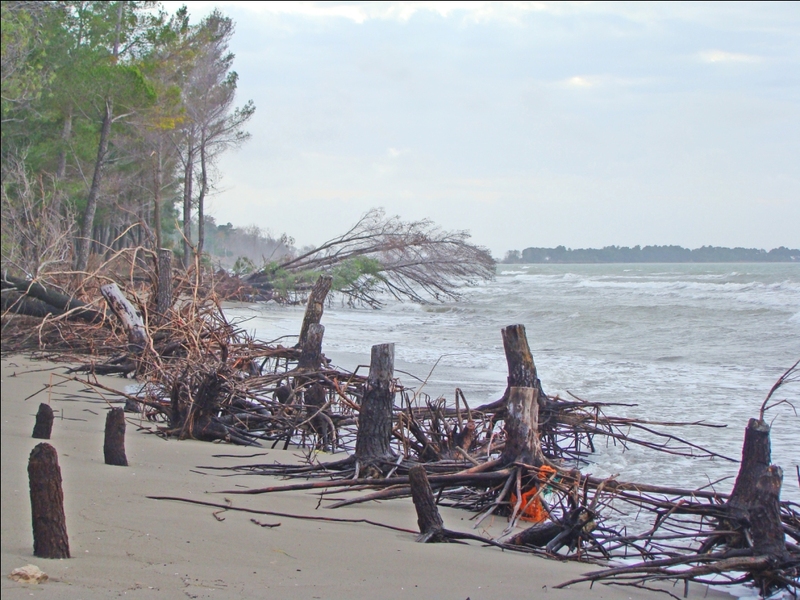 The first and third major outcomes target the adaptive capacity of the institutions responsible for coastal zone management. The second outcome targets the implementation of proactive adaptation measures to enhance the resilience and adaptive capacity of coastal lagoons in the Nile Delta that are both highly productive and particularly vulnerable to future sea level rise and have been identified through stakeholder processes as environmental hotspots and priority areas for adaptation. The second outcome will be achieved through installation of a set of innovative shoreline protection strategies modeled after the “Living Shorelines Approach” in the Idku, Burullus, and Manzala coastal lagoons. The third outcome will capture key lessons and transfer through various national and international platforms for further replication of good practices and scaling up. According to the 2006 Central Agency for Public Mobilization and Statistics (CPAMS) census figures, the population, (including those living abroad), is estimated to have reached 76.5 million at a growth rate of 37% over the 1996 figure of 59.3 million. United Nations projections indicate that the population will continue to grow to 95.6 million by 2026 and 114.8 million before it stabilizes in 2065. Population in urban areas increased by 40 % and is now at nearly 31 million people, and rural populations grew by 64% to roughly 41.6 million people. The rate of unemployment is estimated at 9.31%. CPAMS also estimates, in 2007, that 12 million people or ~16% of Egypt’s population live in slum communities. UNSTATS (2000) also estimates that 17% of the population lives below the national poverty line. According to current information on climatic variability and predicted climate change scenarios for Mali, the country's long-term development is expected to be significantly affected by: both insufficient and unpredictable rainfall; increased frequency of flooding; and more violent winds in the Sahel and Sahara regions. 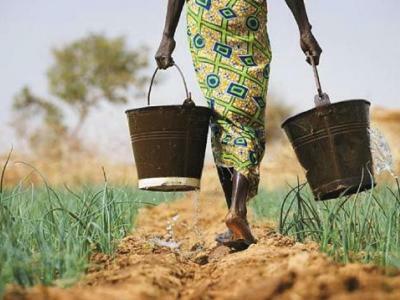 As Mali's agriculture sector is highly dependent on climatic factors, it is generally agreed upon that climate change will produce great impacts in this sector, even when considering the uncertainty of the forecasting models. Scientific assessments carried out in the context of the Initial National Communication (INC) and the National Adaptation Programme of Action (NAPA) has shown that climate change will most probably lead to significant losses in crop production. In turn, these impacts on the agriculture sector will have direct effects on food security in the country. Contributions to respond to these barriers and reduce the level of vulnerabilities to climate change were achieved through the pursuit of specific outcomes including: (i) the improvement of capacities to prevent and manage the impacts of climate change on agricultural production and food security; (ii) the strengthening of climate resilience of agricultural production systems and the most vulnerable agro-pastoral communities; and (iii) the dissemination of the best practices generated by the project. This project was initially funded through the Global Environment Facility Least Developed Countries Fund (US$2,340,000), with later complementary funding from the Canada-UNDP Climate Change Adaptation Facility (CCAF) of US$2,145,000. As part of the Canada-UNDP Climate Change Adaptation Facility (CCAF), the project is aligned with the CCAF’s aims to strengthen climate-resilient approaches to agriculture and water management, with an emphasis on gender-sensitive approaches. The Facility works to document results and share experiences between the CCAF-supported projects in Cambodia, Cape Verde, Haiti, Mali, Niger and Sudan. 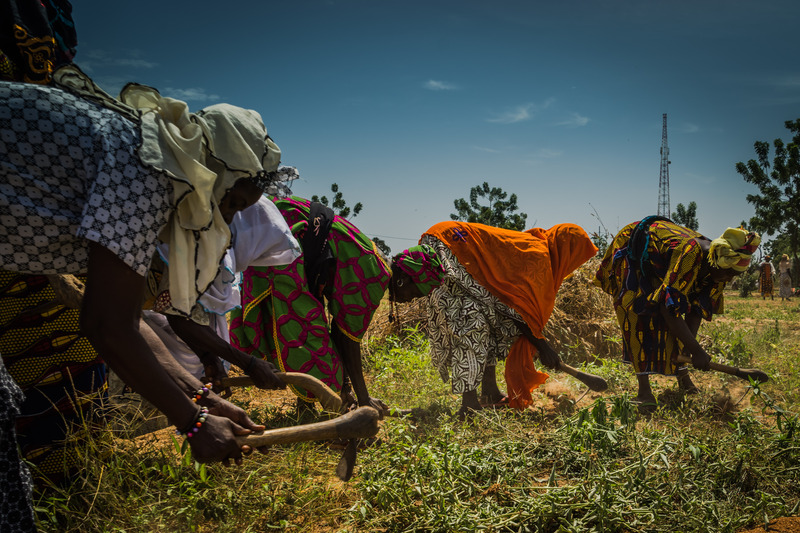 Though only 14% of Mali’s land is considered to be cultivable, the country’s economy is nevertheless strongly dependent on agriculture. In fact, Mali’s economy is largely dominated by the primary sector, which employs 83.4% of the working population. The secondary and tertiary sectors of the economy are still not well developed. They employ 4.1% and 12.5% of the active population, respectively. 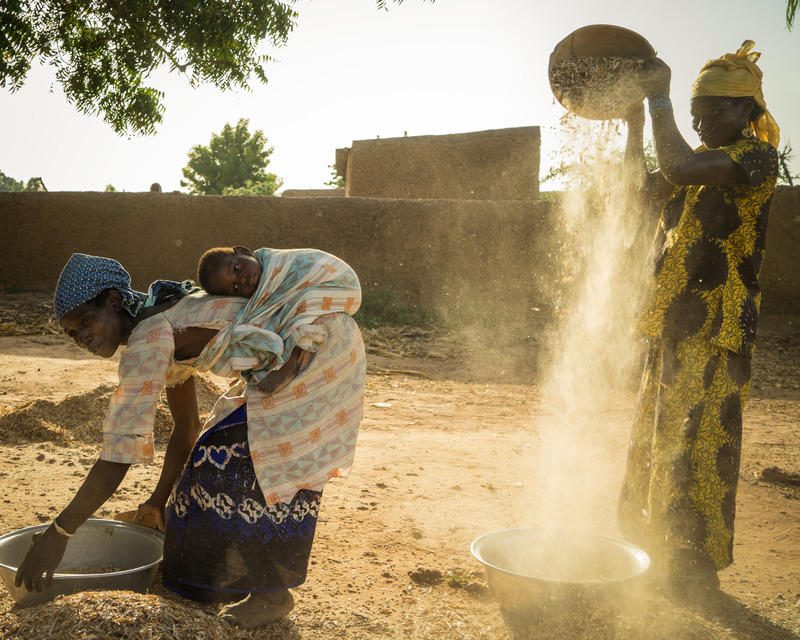 The agricultural sector in Mali is very sensitive to climate variations including droughts and desertification, both of which have been occurring for several decades. Increasing demographic pressure has led to the conversion of the marginal or forested land into agricultural land and has consequently caused a shortening of the fallow periods and a general degradation of the soil’s fertility. According to the World Bank, despite annual variability due to repeated shocks, Mali’s economic growth has been generally favorable in recent years, averaging 5.1% per year for the 2003-07 period. Mali’s economy did not perform as well in 2007 due to unfavorable weather conditions and technical difficulties that affected gold production. Mali’s macroeconomic stability has been maintained in 2008 despite the world economic crisis but in spite of these recent trends, Mali remains one of the world's poorest countries and ranks 168 out of 179 countries, according to the 2008 UNDP Human Development Index. With 83.4% of the population working in the primary sector, availability of and access to natural resources are a first priority for the Malian people, both factors being particularly vulnerable to climate change. As Mali’s agricultural sector is highly dependent on climatic factors, it is generally agreed upon that climate change will produce great impacts in this sector. Scientific assessments carried out in the context of the Initial National Communication (INC) have shown that climate change will most probably lead to significant losses in crop production. Generally speaking, the area suitable for agriculture, the length of the growing season and potential yield, particularly along the margins of semi-arid and arid areas, are expected to decrease. Climate change could also have the potential to impact livestock by affecting factors such as animal health and the availability of fodder. The impact of these could differ depending on the type of species. Some species such as goats and sheep are more heat tolerant than cattle and thus could potentially withstand higher temperatures with more success. However, large farms are more dependent on species such as cattle, which are not heat tolerant. Climate change will alter the quantity and quality of available natural pastures and will undoubtedly lead to new forms of transhumance corridors in the region, and perhaps to new forms of emerging animal diseases. It is also likely that breeders will have to deal with growing agricultural pressures and greater environmental constraints in the years to come. Another possible impact of climate change on the agricultural and food security sectors is the potential conflicts occurring between farmers and pastoralists as both land and water become scarce. With increasing population, transhumance can become unsustainable, and it will become more important for livestock breeders, investors and governments to give more attention to animal feed processing. The above mentioned impacts on the agricultural sector will, in turn, have direct impacts on food security in Mali. To ensure food security in the context of expected climate change will be difficult given the low level of capacity of the Malian decision makers at all levels and of the food producers to implement adaptation measures. Capacities of decision makers and of food producers need to be strengthened in order to reduce the potential adverse impacts of climate change and its potential repercussion on national food security. Moreover, measures including: improved crop varieties to deal with droughts; livelihood and production diversification; improved use of meteorological information and alert systems; and the development of new crop systems to name but a few, will have to be piloted and disseminated in the most vulnerable areas of the country. This project is well aligned with the national priorities defined in the first National Poverty Reduction Strategy Paper. Agriculture development and sustainability is a key issue in the third pillar of the "Rebuild and Diversify the economy" national plan which is designed to address poverty issues in urban and rural areas The main sub programs are related to institutional capacity building to plan, conduct research, and supervise. These sub programs are also linked with goals 1 and 7 of the MDGs. In recent years, CAR has suffered from political instability and endured recurring internal conflicts. Despite vast natural resources, the Central African Republic is one of the least developed countries in the world (LDC) group. In 2009, GDP per capita was estimated at approximately US$362, which puts the CAR among the bottom five poorest countries in the world. The prevalence of extreme poverty has increased, with a particularly high concentration of poor people in rural areas where inhabitants are unable to meet the costs of food. In the framework of economic recovery and improvement of social conditions, the Central African Republic seeks to revitalize the food and agricultural sector to contribute to shared, inclusive, and sustainable economic growth and development, provide food and nutritional security, increase employment and income, and measurably reduce poverty. 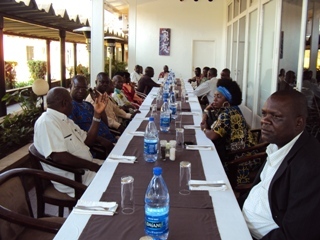 This project is designed as a contribution to the achievement of MDG 1. As the backbone of the Central African Republic's economy, the agriculture sector is dominated by agro- pastoral production, involving nearly 74% of the active population and representing 45% of GDP. Agricultural and pastoralist systems are found along a bioclimatic gradient running north to south from the dry Sudanian to the humid Guinean zones with the different agricultural systems, including cattle farming, matched closely with rainfall. Due to its geographical situation, the country produces a wide range of crops, for cash (sugar cane, cotton, coffee) and for food (cassava, rice, sorghum, groundnut, maize). Cattle farming are essentially dominated by extensive herding (transhumance). Despite significant potential, yields are very low and most of the rural inhabitants, as indicated above, remain in extreme poverty. Several factors affect production such as heavy reliance on rain-fed agriculture and ongoing practices regarding crop selection, water resource management, and agro-ecosystem and rangeland management. Part of the country is already seriously affected by severe land degradation, especially in the region around Bangui where there's high demand for foodstuffs. Co-existence between herders and farmers have been decreasing over the past years due to mismanagement of ecosystem services and natural resources leading to conflicts over competition for access to diminishing stocks of land and water. Additional vulnerability drivers are related to (i) diminished public safety affecting a wide part of the country and causing refugee migration; and (ii) a dearth of basic investment in agriculture over the past 20 years (weak support from extension services, no access to credit, limited market access, etc.). On the whole, public services at national and local levels have suffered, and agricultural extension services as well as meteorological support services are therefore very limited. Private sector involvement in the agriculture sector is limited to cash crops, which is the only area exhibiting the use of conventional inputs (fertilizers, pesticides, HYV seeds) though on a reduced level. Climate Change is an additional threat for agriculture and food security. The Initial National Communication and the National Adaptation Programme of Action (NAPA) have clearly highlighted major climate change driven risks. For the past years, it has been increasingly difficult to identify the optimal time to plant crops. In the humid Guinean area (south of the country), the short dry season, previously lasting, on average, one month, has for the past several years exceeded two months. In many regions, reduced soil moisture is considered to be a factor in sub-optimal cereal yields. The increase in temperatures and decrease in rainfall has led to the reduction of the cool period, resulting in increased evaporation and soil desiccation, factors causing disruption in the supply of water to the cotton crop. The phenomenon also affects cassava, leading to slower plant growth and tuber development and a corresponding reduction in production. With sugar, there are phenological and physiological effects with consequent reduction in output. Over the coming years, climate change is expected to increasingly lead to changes in rainfall patterns with droughts occurring more frequently and lasting longer, and an increase in extreme events. The increase in temperature and the decrease in rainfall will lead to further reductions in duration of the rainy season, increasing evaporation and desiccation of already poor soils and impacting agricultural calendars. The phenomenon will affect food crops such as cassava as well as other crops such as millet, maize or peanuts. 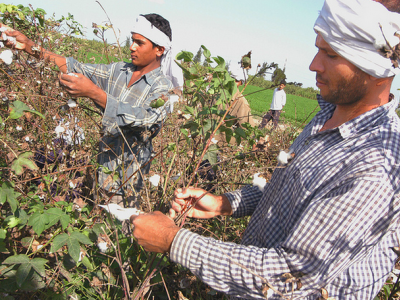 It is also likely to have negative impacts on cash crops (cotton, coffee) while during their critical growth periods. Pastoralism, the livelihood for a significant number of rural people, may also be affected by the change in rainfall patterns, as access to water is crucial during transhumance. This, in turn, is likely to exacerbate conflicts with farmers. In the context of the above underlying-causes, the performance of the agricultural sector and its capacity to adapt are limited. The CAR Government, with support from a few donors (FAO, EU), tried recently to revitalize the sector through the implementation of baseline activities which include various agriculture and rural development initiatives focusing primarily on stimulating rural economies by improving agricultural productivity (see D and E, below). While necessary for the overall development of the sector, these interventions are insufficient to ensure resilience of the agriculture and food production sector to overcome climate change risks. In order to respond to the greatest and most immediate threats of climate change, the government of CAR prepared a National Adaptation Programme of Action (NAPA), which prioritized a number of interventions that should enhance the adaptive capacity of the agriculture sector. These include: promoting drought-adapted seeds, rehabilitation of degraded land, establishment of an early warning system. This project, 'Building Capacity in DRC to Respond to Threats Posed by Climate Change on Food Production and Security', seeks to respond to the climate-change induced increased variability in agro-climatic conditions and its impacts on the agriculture sector in the DRC. The agriculture sector forms the basis of livelihood opportunities for the majority of the population. Although increased rainfall is expected in most parts of the country, model predictions of rainfall distribution (temporal) is uncertain. There is however a high likelihood of the potential for longer intra-seasonal drought. 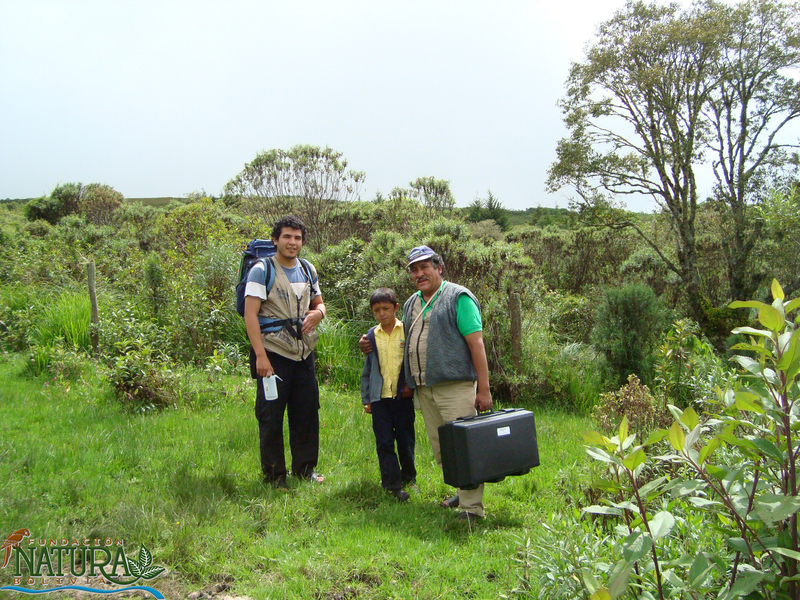 The project seeks to reduce vulnerability among rural populations in four selected sites by promoting: the renewal of agro-genetic material through provision of germplasm more suited for expected climate conditions, as well as the creation or strengthening of the agricultural chain of support (extension services, technological tools, agro-meteorological information and planning) from local to provincial and national levels. Building on current rehabilitation and reconstruction efforts, including efforts to promote decentralization and to reform the public sector, the project will facilitate the demonstration of adaptation measures relevant to planning at all levels, taking into account regional specificities. The ultimate beneficiaries of the project are local agricultural households residing in villages surrounding each selected site. 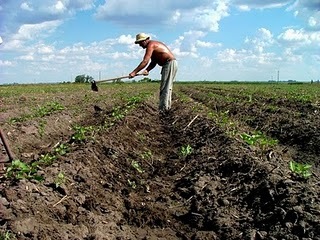 Building on the ongoing reforms and rehabilitation efforts, this project will seek to enhance the resilience of the agriculture sector by providing the tools, information, inputs and capacities to the main actors of agricultural development to enable them to adequately understand, analyse and react to climate risks. The project will demonstrate appropriate adaptation responses so as to test and pilot their feasibility and replicability. Adaptation responses will tackle agricultural production, as well as economic diversification and institutional capacity development as an integrated package of interventions designed to remove major barriers and reduce underlying causes of vulnerability. Similar adaptation options will be tested in all of the four areas, except where predicted climate conditions warrant different choices, for example: groundwater extraction potential will be tested only in Kipopo area, which is foreseen to experience more droughts and an overall decrease in rainfall, whereas rainwater harvesting and rainwater conservation will be promoted in the other three regions. Similarly, adapted varieties disseminated in each of the region will be tested for resilience to current and anticipated climate conditions specific to each region (to adapt to sunshine, heat, precipitation and soil moisture). The project will support the deployment of a supply chain for adapted agricultural genetic material focused on three staple crops (maize, rice and cassava) based on research conducted by the National Agricultural Research Service (INERA). Adapted genetic material will be transferred to designated agri-multipliers, who will produce and multiply seeds and cuttings for distribution among households. This production and dissemination of adapted material will be supported by training and capacity building in sustainable and adapted agricultural management techniques (e.g. agroforestry, sustainable land and water management, agro-ecology) provided through the national agricultural extension services (SNV), along with the provision of enhanced and timely agro-meteorological information (including early warning bulletins, using rural radio and local associations and leaders). “No-regrets” land and water management practices will be promoted, in anticipation for changes in the precipitation regimes (droughts or floods). 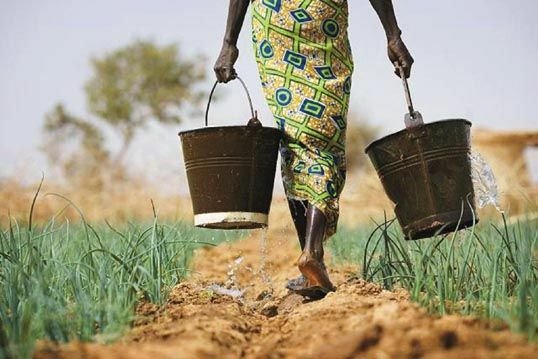 For example, rainwater harvesting and conservation, combined with improved irrigation during dry spells will be promoted, along with agricultural techniques designed to maintain soil fertility. In parallel, participatory research will be conducted in order to explore the potential for local agricultural diversification (crop and non-crop, e.g. 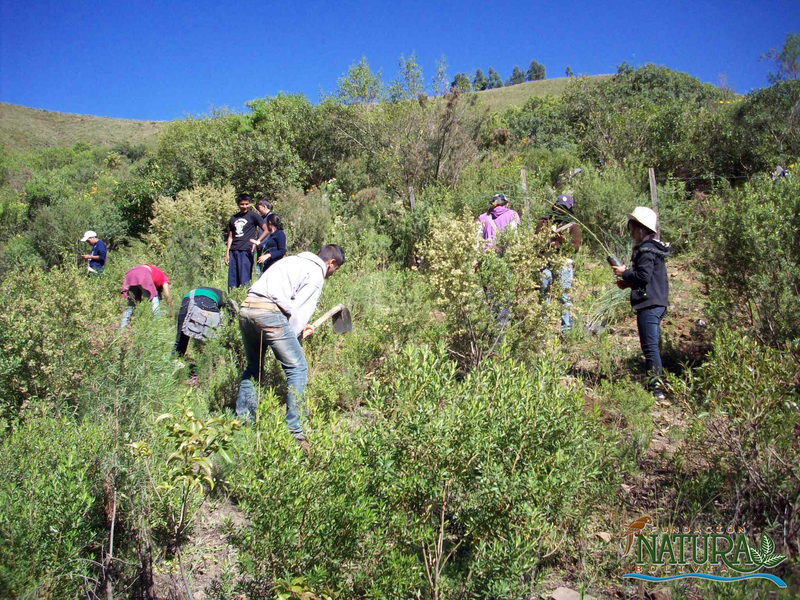 non-timber forest products, aquaculture and livestock), as a means to provide stability and a more resilient food basket to the local communities.The creation of early warning systems at decentralized level will be tested in each of the four sites, and will be implemented through the creation of interdisciplinary working groups bringing together key rural development stakeholders and institutions and technical services, who will develop appropriate methodologies for declaring and disseminating early warnings to households and communities. At the local level: The ultimate beneficiaries of the project are local agricultural households residing in villages surrounding each selected site. 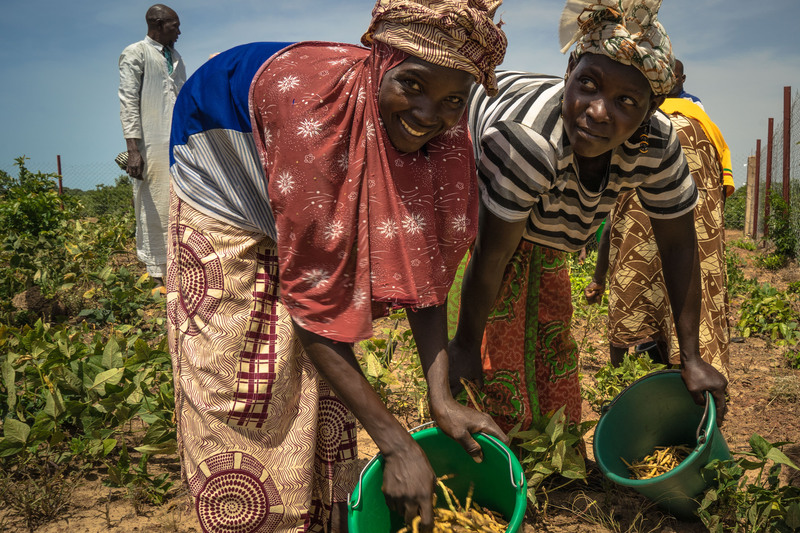 In addition to receiving agricultural inputs such as resilient varieties, communities will be mobilized, and their associations and groups will be strengthened through the transfer of appropriate agricultural technologies and know-how. In order to further reduce vulnerability and to address non-climate change related vulnerabilities, efforts will be made to promote diversified sources of livelihoods (non-agricultural) as well as diversified sources of food (beyond the three vulnerable staple crops). 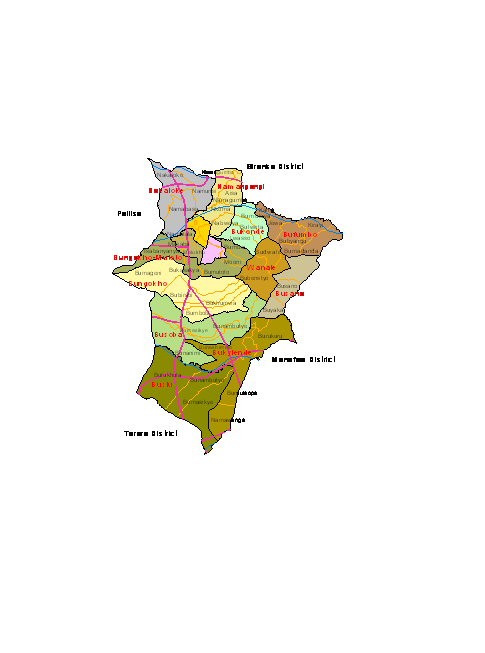 At the provincial level: Project sites have been selected so as to represent provincial realities, and benefit from the presence of government institutions, decentralized technical services, as well as proximity to provincial capitals and authorities. Decentralized technical services will benefit from targeted capacity building efforts so as to update skills and upgrade operational means, in order to enable them to deliver appropriate services in support of local communities. In addition, provincial sectoral planners will also be supported in the development of resilient agricultural plans, through interventions directed towards the Regional Rural Agricultural Councils, and the national extension services. Provincial level institutions will serve as the key relays of information regarding the development of early warnings. At the national level: Overall coordination of the project will take place at the national level in order to ensure replicability of the project outcomes. In addition, national-level ministries will be called upon to contribute to the project through their decentralized antennas, as well as benefit from capacity development towards a better integration of climate change issues into sectoral plans of relevance to this project. In summary, the project will function as a means to place first emphasis on the delivery of improved services to local communities in order to reduce their vulnerability to climate change, as well as to address some of the underlying causes of vulnerability. Project sites have been selected to be situated in proximity of a research station, which will enable the production, multiplication and dissemination of enhanced agricultural genetic material. Project sites also benefit from ongoing extension services (provided through provincial authorities and delegations), on which this project will build. Lessons learned from local on-the-ground interventions, including pilot demonstrations of early warning systems, will be transferred to provincial planners for replication and upscaling, so as to inform provincial agricultural planning and decision-making. These together are expected to generate a leverage effect on national agricultural policy-making, with the assistance of specific tools provided to national planners through this project. Output 1.3: Adoption of diversified climate-resilient livelihood activities. ​Project Progress Reports (PPR): quarterly reports will be assembled based on the information recorded and monitored in the UNDP Enhanced Results Based Management Platform. Risk analysis will be logged and regularly updated in ATLAS. 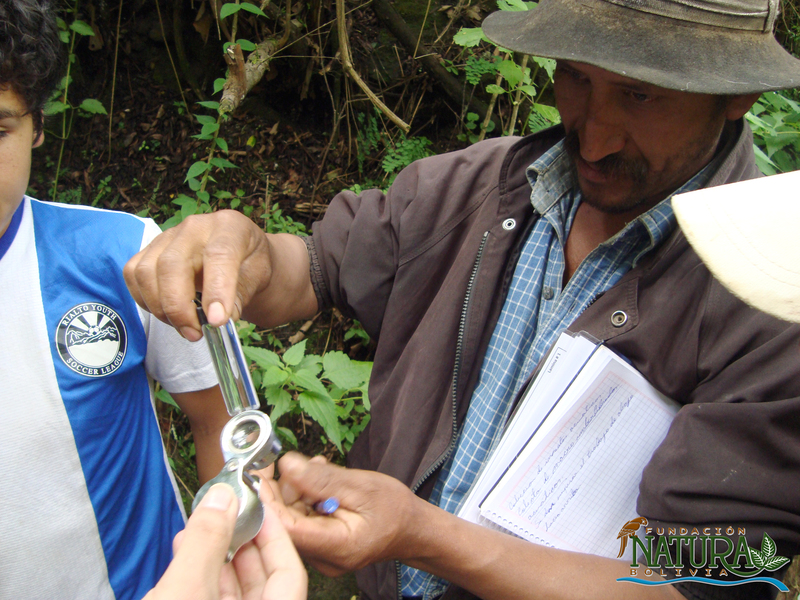 For more information on project activities read the TACC - 2011 Update or the TACC - 2012 Update.